According to the National Council of Nonprofits, Rhode Island is among twelve US states that lack an association supporting the nonprofit sector. While a variety of programs, notably those of the Rhode Island Foundation, do offer important capacity building opportunities, these resources cannot provide the full benefit of association—building a professional community in order to leverage the power of collective knowledge and experience. In response to this opportunity. Dan Doucette of Charity Shaman is stepping forward to organize a professional networking group. 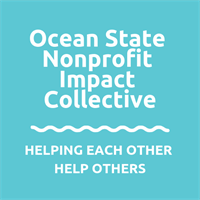 Ocean State Nonprofit Impact Collective (OSNIC) will be a networking community for Rhode Island nonprofits where leaders and stakeholders come together for sharing, learning & partnership. Since OSNIC is about association through a networking community there is no need to create a formal entity, which would itself be a draw on resources. OSNIC will be a bottom-up association convening monthly morning “coffee klatches” to gather together executive directors, board members, managers and other nonprofit stakeholders looking to associate for sharing, learning & partnership. These convenings will be facilitated and purposeful, focused on issues for which pooling experiences and ideas will be lead to meaningful insights for members. Dan is looking to connect and collaborate with like-minded leaders in the non-profit sector with the enthusiasm for the possibilities of this initiative. To learn more and offer suggestions for ensuring success, please contact Dan!